It is well known that India is a country of opposites. But not so visible is the paradox of entrepreneurship that runs through our economy. Our people are inherently entrepreneurial, yet they find it very difficult to set up and run businesses with ease. Constraints like access to technical knowledge, finance, market and poor entrepreneurship capacities inhibit enterprise development. Only 22% of aspiring entrepreneurs have access to training in India. The biggest barrier is access to finance, as only 5% of enterprises have access to formal finance. 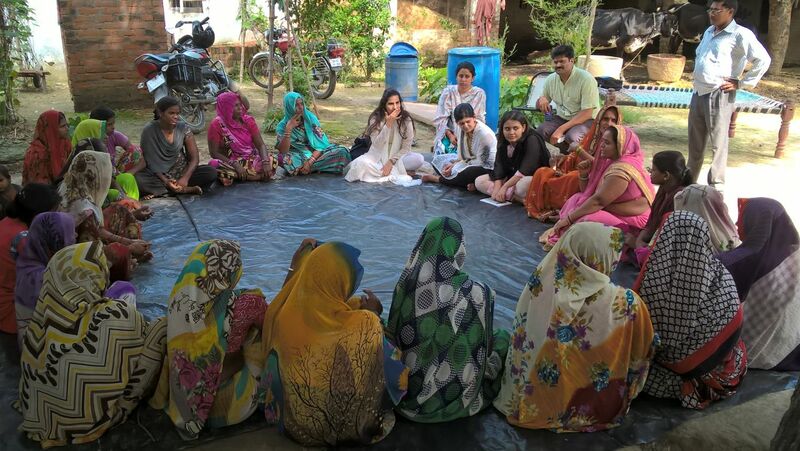 In communities we interact with, all across north and central India, people fight severe odds to enhance their incomes and set up local ventures, even though flourishing local enterprises are crucial drivers for sustainable economic development. Several development challenges such as scarcity of resources, lack of access to basic needs and environmental degradation, addressed through green and inclusive enterprise packages are opportunities that put money in peoples’ pockets and create decent jobs at scale. On its part, the government has been pumping resources into skill development and entrepreneurship. However, the initiatives are restricted in their outreach and effectiveness due to lack of innovation and inter-connectedness between stakeholders. For example, enterprise development projects among women are replete with the same options of candle making, food processing and tailoring. There is a need to talk to the entrepreneurs to build an ecosystem that innovatively creates trigger points in order to unleash entrepreneurship. We need to take a comprehensive look and then re-look at changes taking place in the crucial drivers of finance, market access, capacity building and technology. Market narratives have shifted and support services being offered in each area need to adapt to the emerging new economy of India where aspirations are growing significantly faster than the jobs being created. In our current portfolio of projects, Development Alternatives is initiating a series of dialogues among entrepreneurs and other critical stakeholders in Uttar Pradesh. At one such event in Mirzapur, it was remarkable how apart from the obvious lack of information flow, an acute digital divide existed between different categories of entrepreneurs in the room. The situation presented a strong argument in favour of ignoring the traditional top down approach of handing out solutions and support services to the entrepreneurs. The need of the hour is to co-create solutions with the community thereby empowering entrepreneurs with tools to create their own futures with their own hands. It was an excellent initiative.